Norske Shell awarded with charter contract Island Offshore for anchor handling tug supply vessel Island Valiant and riserless light well intervention vessel Island Constructor. The total amount of the agreement is 12 million USD, commencing in April 2016. The AHTS vessel Island Valiant will be employed for two weeks for supporting inspection, maintenance and repair work in three offshore wells in North Sea. The RLWI ship Island Constructor will be employed in May and June 2016 with light well intervention and scale squeeze on two offshore wells at Draugen oilfield off Norway. “These contracts are very welcome after a challenging winter with our LWI vessels being laid up for the season. It is very gratifying to see our crews and our vessels mobilizing and returning back to work after the winter”, said the managing director of Island Offshore, Havard Ulstein. 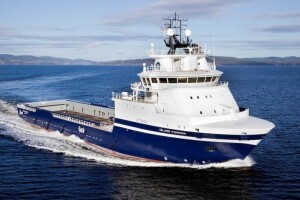 Island Offshore’s other two LWI vessels, Island Wellserver and Island Frontier, have resumed operation and began contracts for Statoil on April 1. The perspective of the company’s vessel ius to be engaged in offshore operations for 200 days per year until 2020.